Technology is ubiquitous, and a team of researchers at UConn are harnessing our everyday technology to address obesity issues in children and young adults (Poulin & Peng, 2018). Social media and text messages are a common communication tool among multiple populations, and can positively influence behavior change in health and nutrition (Hsu, M.S.H., Rouf, A., & Allman-Farinelli, M., 2018; Tu, A.W., Watts, A.W., Chanoine, J.P., Panagiotopoulos, C., Geller, J., Brant, R., et al., 2017; Pew Research Center, 2015 & 2018). 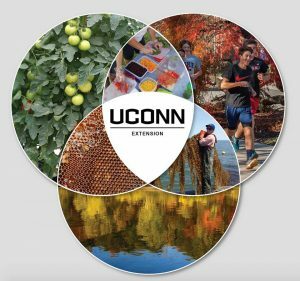 Tailored messages for health promotion and obesity prevention using e-health and m-health is supported through Hatch funding from the Storrs Agricultural Experiment Station in UConn’s College of Agriculture, Health and Natural Resources. 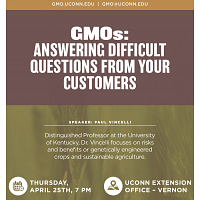 The inter-disciplinary team includes faculty and staff from Allied Health Sciences, the Rudd Center for Food Policy and Obesity, Communication, Windsor Public Schools, Connecticut Children’s Medical Center, UConn Student Health Services, and the Windsor Hunger Action Team. 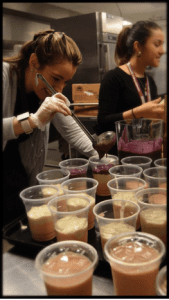 The team is implementing three connected studies to harness technology and deliver tailored nutrition and health messages to middle school students, adolescents, and young adults to improve diet quality for obesity prevention. 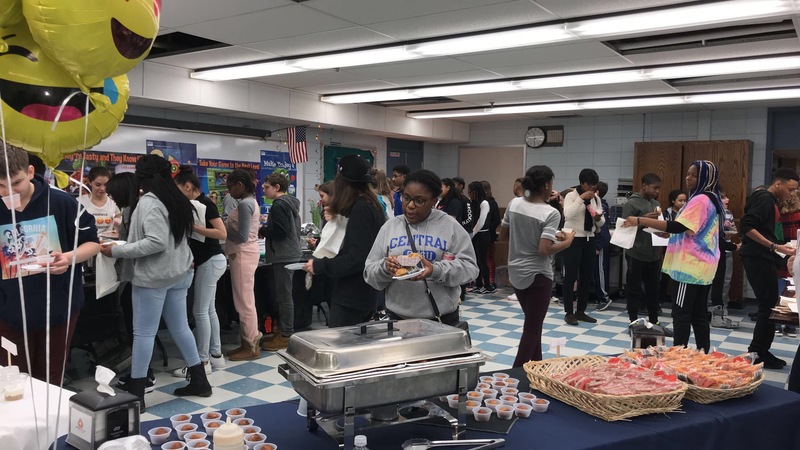 Partnerships with the Connecticut Children’s Medical Center and Windsor Public Schools reach children. Young adults are included through the study with UConn Student Health Services. Each of the three studies is using quantitative and qualitative research methods. The tailored messages will have short-term and intermediate-term impacts. The child and parent will receive text or email messages on improving diet healthiness of children based on their online responses. 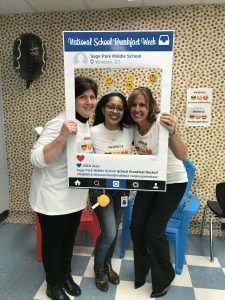 Intermediate-term impacts will again be tailored to individual responses and delivered by email, text and social media with the goals of improving diet healthiness, and school meal consumption over the school year. Heidi Karner is graduating in May of 2019 with her masters’ degree in Health Promotion Sciences from the Department of Allied Health Sciences. 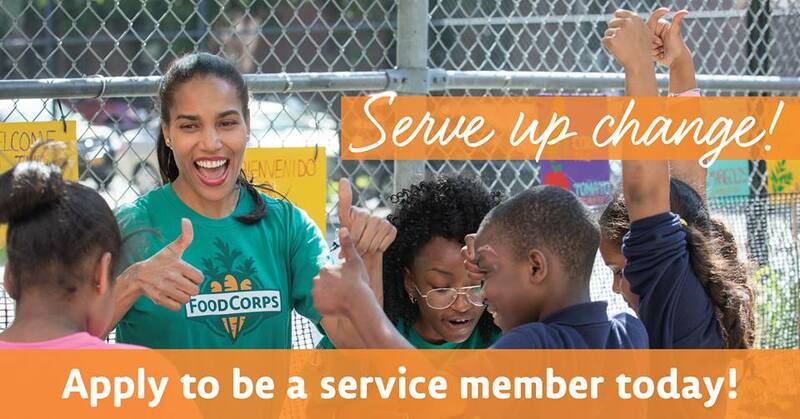 She works with the Supplemental Nutrition Assistance Program Education (SNAP-Ed) and the tailored messages project. breakfast program participation, and decrease food insecurity in middle school students. These goals were identified as problem areas by the middle school staff and the Hunger Action Team. The collaborative team is working on a quantitative and qualitative approach to develop the message program. In the quantitative phase, 200 students completed an internet-based survey on what foods and activities they like or dislike and their attitudes and believes. The students completed the survey on Chromebooks available to each student at school. The students received messages tailored to their responses. From initial analysis of this quantitative phase, the tailored messages were well received by students — 78% agreed that they learned new information, 86% reported the messages were helpful, and 73% would like to receive more messages in the future. In the qualitative phase, the complete findings of the quantitative survey will be shared with the stakeholders. The feedback will identify priority areas where student behaviors differ from recommendations. Feelings and feedback from students will be obtained through focus groups. This feedback is being used to create a fun and interactive computer game to embed on the website. The Department of Communication at UConn is collaborating on the computer game, and it will be piloted with the middle school students. It all connects back to understanding the population being served, their health behaviors, and preferences. “It’s not just about hunger, but nutrition too,” Karner adds. “We focus on the quality of the foods.” Although Karner is graduating, this is a continuing project that will be refined and passed along to other graduate students to champions, continued collaboration with stakeholders and sharing best practices without other school systems. Hsu, M.S.H., Rouf, A., & Allman-Farinelli, M. (2018). Effectiveness and behavioral mechanisms of social media interventions for positive nutrition behaviors in adolescents: A systematic review. Journal of Adolescent Health, 63(5), 531-545. https://doi.org/10.1016/j.jadohealth.2018.06.009. Pew Research Center. Social Media Fact Sheet. Internet and Technology2018. Pew Research Center. Teens, Social Media & Technology Overview 2015. Internet & Technology, 2015. Tu, A. W., Watts, A. W., Chanoine, J. P., Panagiotopoulos, C., Geller, J., Brant, R., et al. Does parental and adolescent participation in an e-health lifestyle modification intervention improves weight outcomes? BMC Public Health. 2017,17:352. This recipe is a favorite in the KidEats App that was developed by our 4-H FANS program and the New Mexico State University Learning Games Laboratory. Angie Tovar of Danbury was a teen mentor in our CT FANs IM 4-H program. She is entering her junior year of college at Western Connecticut State University where she majors in Elementary Education. Angie currently works as a translator for St. Peter Church in Danbury and Student Worker for Pre-Collegiate and Access Programs in Danbury. We caught up with her to learn more about how her experience with the 4-H FANs program impacted her life. 4-H taught me to….. not be afraid to put myself out there. At first, a lot of the activities we conducted made me nervous, but I learned to push myself and try new things. 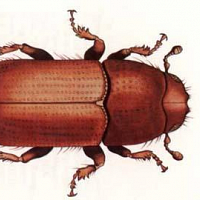 4-H taught me to stop…. Doubting myself. It really helped me believe that I can do anything if I really set my mind to it. It sounds a little cliché, but it’s the truth. The staff and the way this program is set up makes everyone truly believe that. Because of 4-H….. I decided to become a teacher. I loved the experience of being in front of children and getting to pass on my knowledge of a subject onto them. I realized that teaching is what I truly love to do. If I hadn’t been in 4-H…. I would have probably been in college, pursuing another career, and pretty miserable because it is not what I truly wanted to do. How do you keep the 4-H motto – “To Make the Best Better” – now? I always keep this in mind, reminding me that there is always room for improvement. After every day of the program, we would reflect on what we did and how we could improve for next time. I still do this a lot after I finish anything. I truly believe that no matter how good something I did was, there is always a way for me to do better. How did 4-H contribute to your leadership skills? 4-H helped me to be a better public speaker and think about what you want the outcome of a lesson to be. Since I want to become an Elementary School teacher I have to be comfortable speaking in front of others. 4-H provided me with the opportunity to practice this. 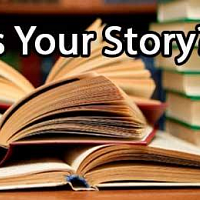 The staff helped coach me and give me constructive criticism to better my public speaking. Also, it made me realize that when planning for activities, you have to think about others and what you want them to get out of this. It is the most important thing when prepping for lessons. What do you wish people knew about 4-H? 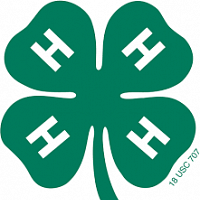 There are so many programs with 4-H! I feel that in our area very few people know about 4-H and all the wonderful things they do to better the lives of young people. I wish people knew that 4-H has just about everything. 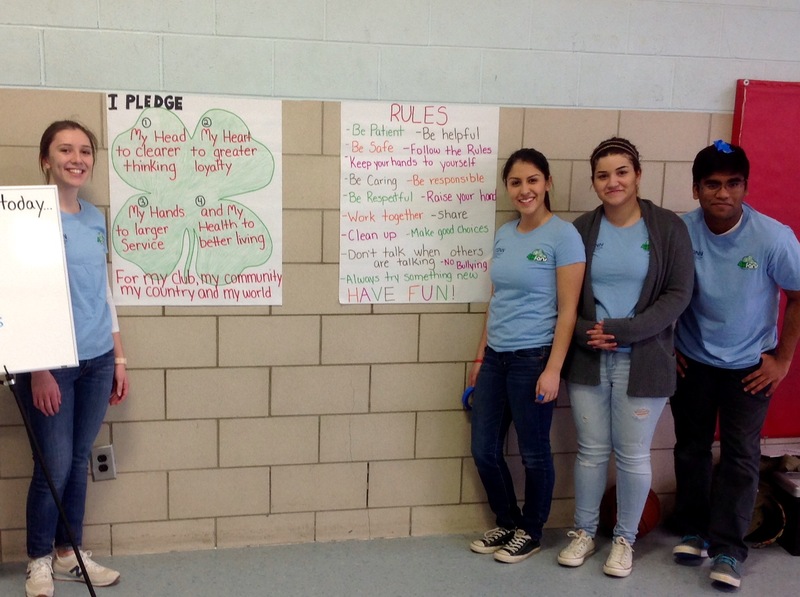 Why should young people join 4-H? These programs provide youth with so many skills that they will continue to use for the rest of their lives. Each program works on bettering a child’s life in different ways. Also, each program makes families feel part of a community. They bring parents together and make them realize that they are not alone. 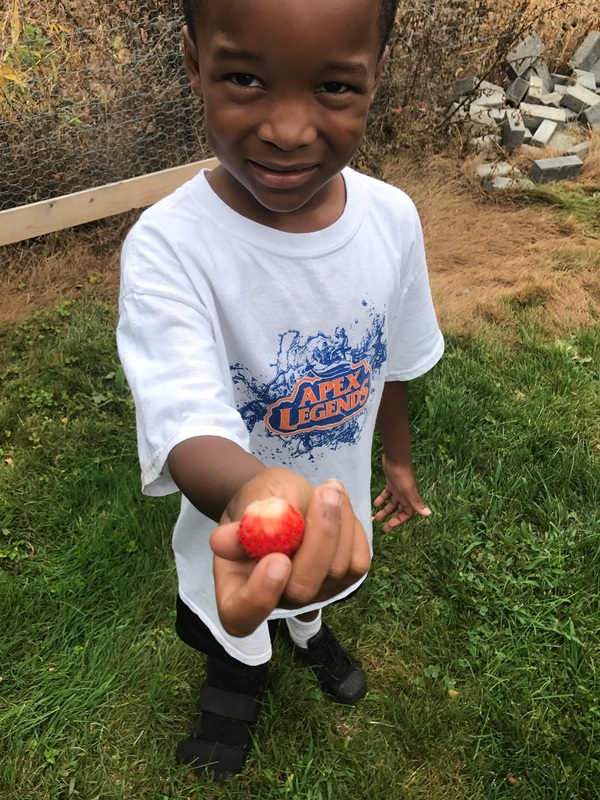 Growing Gardens, Growing Health connects low income parents and their children to instruction, hands-on practice, and resources for gardening, nutrition, and cooking in order to encourage healthier food choices for the whole family. Over the course of the past 6 summers, participants worked with a Registered Dietitian Nutritionist from EFNEP and certified master gardeners from Extension to plant and grow fresh vegetables and herbs. 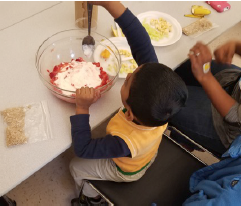 Over ten weeks, families received practical, family- and budget-friendly information about nutrition and built essential skills by making fun, healthy recipes. 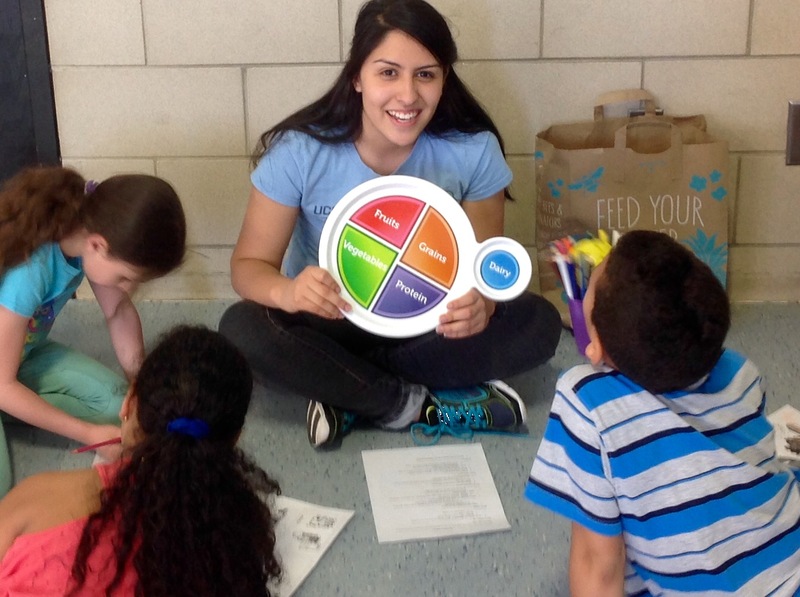 Each week children of the families learned about MyPlate and the food groups through fun and interactive games and activities with the help of EFNEP volunteers and an Extension summer intern. 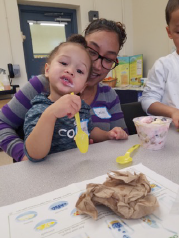 Economically disadvantaged families were recruited to participate in a 10-week, hands-on, nutrition and gardening education program (n=35). Program goals were to enhance participants’ knowledge, skills, and self-efficacy associated with purchasing, preparing and consuming produce; incorporating physical activity into everyday life; and gardening and growing produce for personal use. Childhood obesity rates are higher than national average, 39% in this city. The Growing Gardens, Growing Health program helps families work together to grow fruits and vegetables on a community farm, learn about nutrition and how to prepare healthy foods in the on-premises, fully equipped kitchen classroom, and enjoy the freshly prepared fruit/vegetable-based meals as a group seated around the table. 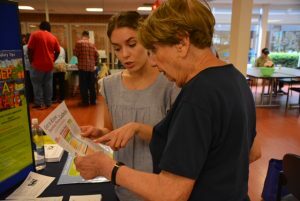 Local health department educators partnered with University Extension educators including a Registered Dietitian Nutritionist (RDN), bilingual program aide, Master Gardener (MG) volunteers and student volunteers to implement this program. 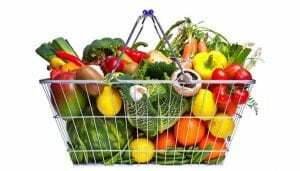 Data collection included a pre-post survey (n=21), and participants demonstrated increased readiness to change physical activity behaviors (47%), cooking behaviors with vegetables/fruits (40%) and consumption of 5 servings vegetables/fruits daily (31%). A family shares, “I am so glad we committed to this. 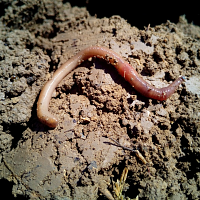 We are eating better, with more nutrition, using less of a budget.” In summary, garden-based nutrition education that is family-focused may improve physical activity, vegetable/fruit consumption and self-efficacy associated with purchasing, preparing, and consuming produce; such improvements may decrease risk of obesity. Erica Benvenuti, the Expanded Food and Nutrition Education Program (EFNEP) dietitian, provides workshops, presentations, and food demonstrations for low-income families and individuals in Southeastern Connecticut. 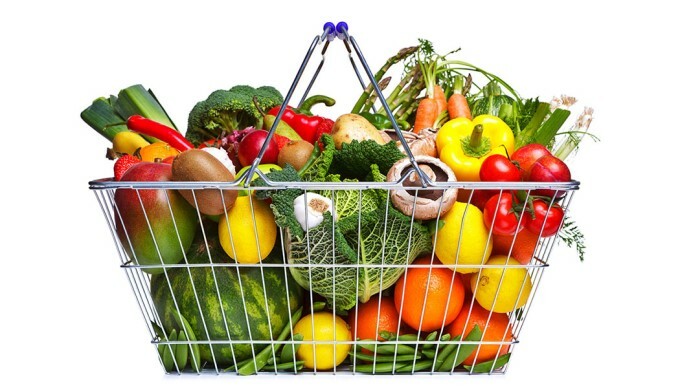 The interactive, educational classes are designed to help people make healthy food choices on a limited budget. The EFNEP program’s nutrition and cooking classes teach practical, easily applicable skills, such as simple dishes to make with foods that are easy to have on hand. Participants learn life skills, smart shopping, and how to prepare easy, nutritious meals and snacks. 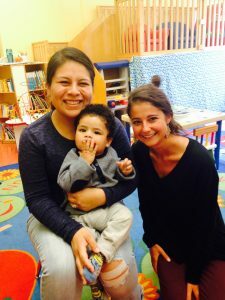 The program serves a wide range of constituents, including middle school, high school, and college students; pregnant women and new moms; special education classes; refugees and recently arrived immigrants; and residents of transitional living facilities. Participants have the opportunity to taste the items prepared, and, in some classes, help prepare the food. Erica also participates in New London County food policy planning and educates agency staff in order to broaden the impact of the program and regularly reach new clients. Program partners include Ledge Light health District, New London Mayor’s Fitness Initiative, Norwich Free Academy, United Way of Southeast CT, and Catholic Charities. EFNEP workshops have helped motivate and empower participants to make healthier food choices and become more physically active. The newly renovated gardens at River-front Childrens’ Center.